Iran's grand plan to buy aircraft from Boeing and Airbus is stalling. State-run Iran Air signed an agreement to buy 80 Boeing passenger airplanes last month, the first major deal between a U.S. company and Iran since sanctions were lifted earlier this year. That followed a huge Iran Air deal for 118 aircraft from Boeing (BA)'s European rival Airbus (EADSF) in January. The companies and Iran say discussions about the sales continue. But internal struggles in Iran, a lack of funding, and political opposition in the United States have put the deals in doubt and are likely to limit the size of the sales if they eventually go ahead. The U.S. Treasury has issued a general license for aircraft sales to Iran but still needs to license each individual deal. Republican lawmakers are trying to prevent that from happening. The House of Representatives passed legislation earlier this month that would prevent taxpayer dollars being spent to issue licenses, and block U.S. bank financing for the aircraft themselves. The Republican-controlled House opposed the international agreement to lift sanctions on Iran in exchange for curbs on its nuclear program. 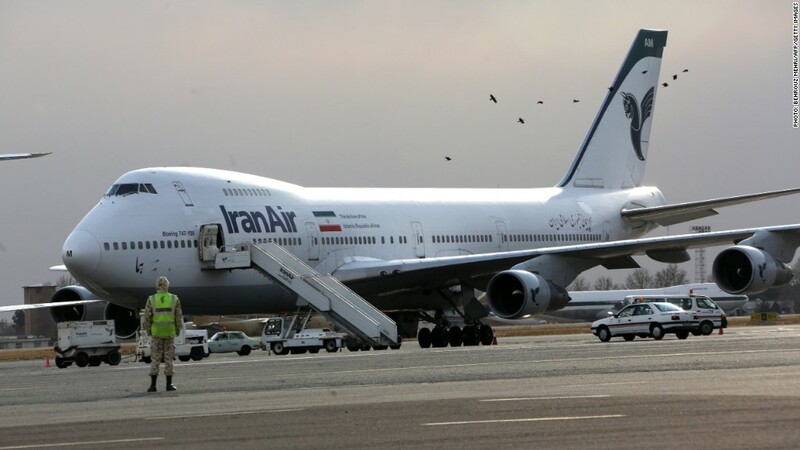 Republican Peter Roskam, who authored the legislation, said the proposal would block the sales of "both Boeing and Airbus aircraft to Iran." Airbus could be affected by the legislation because it uses U.S. technology. A Senate version of the bill has not yet been voted on. President Obama has said he would block any legislation that undermines the landmark nuclear agreement with Iran -- which is a major administration priority. But the political opposition leaves only a slim chance that Boeing's memorandum of understanding with Iran can be converted into a firm contract before the U.S. presidential election in November, experts say. "[The House legislation is] narrowly sculpted to make a deal effectively impossible before the U.S. elections," said Farhad Alavi, a trade attorney and managing director at Akrivis, a Washington law firm. And if Republican Donald Trump wins, the Boeing deal becomes even more uncertain. Trump has slammed the nuclear agreement in campaign speeches. Boeing said any contract it may reach with Iran's airlines will be contingent on final approval by the U.S. government, specifically, the Office of Foreign Assets Control at Treasury. Airbus said it was "confident that the U.S. government will ensure that the commitments taken in the frame of the [Iran deal] will be fulfilled." Iran's Civil Aviation Organization said earlier this week that there has been no talk of canceling the Boeing deal. "Both sides are committed and the Memorandum of Understanding is still valid," it said in a statement. The deals with Airbus and Boeing were touted as a crucial achievement by Iranian President Hassan Rouhani. He championed the nuclear deal despite opposition from hardliners, and now wants to highlight its economic benefits before elections next May. "He needs to show that the nuclear deal can bear fruit for the Iranian people," Alavi said. Analysts also question why Iran Air needs to buy so many airplanes. They say it won't be able to finance the huge deals without government help, and would struggle to train pilots and mechanics to fly and service a fleet that size. "Air France has fewer planes than ... Iran Air proposes to purchase, so it is not at all clear why the company thinks it can find enough passengers for them," wrote Patrick Clawson, the director of research at the Washington Institute for Near East Policy. Iran will also find it difficult to arrange financing for the deals until the Treasury Department provides more clarity for banks on their dealings with Tehran. U.S. restrictions on banking remain in place, including a ban on transactions in U.S. dollars, and banks are reluctant to finance any deals with Iran until they have a much clearer idea about what they can and cannot do. Several big banks, including HSBC (HSBC) and BNP Paribas, (BNPQF) were fined billions of dollars for dealing with Iran while U.S. sanctions were in place. "Financing problems may well ultimately reduce the number of planes sold," Eurasia Group chairman Cliff Kupchan wrote in a report.